H662 Taconic. 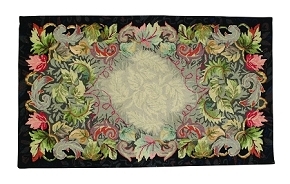 Beautiful hand hooked wool rug made from 100% wool. 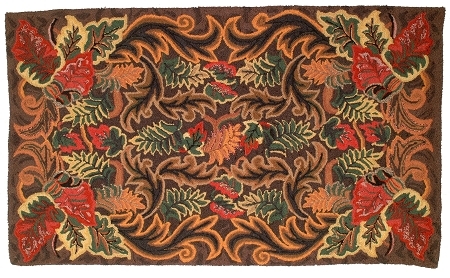 Warm tones of brown, oranges, reds, and green. 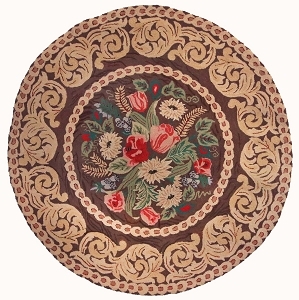 Intricate detail of swirling leaves and flowers. 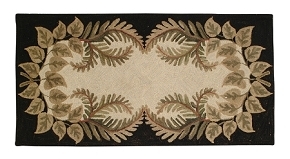 This rug is available in sizes 2'X3', 3'X5' and 2'X8' runners.